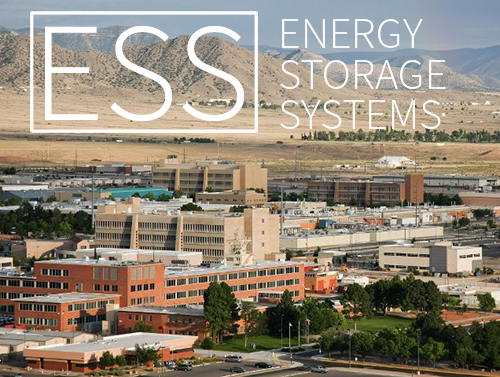 The U.S. DOE Energy Storage Systems Research Program (ESS), at Sandia National Laboratories in Albuquerque NM (Sandia), has evolved over three decades of successful battery and power sources research, engineering, and testing, especially as storage technologies relate to electric utilities, renewables, and grid security. In the early 1950s, the U.S. government charged Sandia with a mission to develop power sources for our nation’s nuclear stockpile. That assignment attracted a world-class group of scientists and engineers who installed unique laboratory facilities at Sandia and established it as a leader in power sources research and development. When the first oil crisis occurred in the mid-1970s, the U.S. initiated a number of alternative energy and energy storage research and development programs. Sandia became involved almost immediately in creating and establishing several rechargeable battery-focused R&D programs. The first storage-related program, in 1978, was titled “Batteries for Specific Solar Applications.” That renewables-based program included development and testing of state-of-the-art and advanced battery technologies, systems analysis, and research on integration of batteries with photovoltaic and wind energy systems. By the early 1980s, the recently-established U.S. Department of Energy (DOE) had stepped into the picture and increased Sandia’s portfolio to include the Exploratory Battery Development & Testing Program (ETD), which expanded Sandia’s role from research, engineering, and testing of improved and advanced battery technologies to all stationary and electric utility storage applications. A separate program focused on batteries for electric vehicles. In 1991, the ETD was refocused as the Utility Battery Storage Program (UBS); it began to develop an entire, integrated, battery storage system research program, including power electronics and controls. From that research, DOE and Sandia project managers conducted very successful utility storage demonstrations that resulted in numerous commercial products, several of which earned the coveted R&D 100 Award. Through collaborations with international organizations such as ILZRO (International Lead-Zinc Research Organization.) and EPRI (Electric Power Research Institute), the UBS Program established world-wide recognition for energy storage technologies research and development. In 1996, DOE expanded the UBS Program into the current ESS Program, which included responsibility for the development of an even broader range of utility-related efforts, including innovative storage technologies such as flywheels and compressed air energy storage (CAES). In 2007, Congress passed the America COMPETES Act, which officially authorized ARPA-E’s creation. In 2009, ARPA-E received its first appropriations of $400 million, which funded ARPA-E’s first projects to “identify the most urgent challenges the U.S. faces in maintaining leadership in key areas of science and technology,” as well as specific steps policymakers could take to help the U.S. compete, prosper, and stay secure in the 21st Century. Read more here. In 2009, the U.S. Dept. of Energy (DOE)’s energy storage program provided $185 Million in federal matching funds to support energy storage projects valued at $771 million. The funding from the American Recovery and Reinvestment Act (ARRA) resulted in almost 538 MW of new energy storage being added to the grid. Read more here. Information about the Recovery Act can also be found on the DOE Recovery Act page. Today, ESS Journal Articles and Books have become the defining documents for the benefits of energy storage and are cited regularly by storage experts around the world. 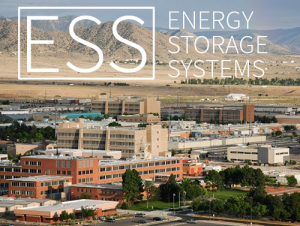 Working in close partnerships with industry, academia, and governments, the ESS Program continues to lead in world-wide efforts that address energy issues through energy storage.